And a super cute set 'Christmas Windows'. If you make a card using any of the Boutique's images don't forget to enter the monthly competition to win a £15 voucher - all the info' is here. Super CAS and oh so stylish. 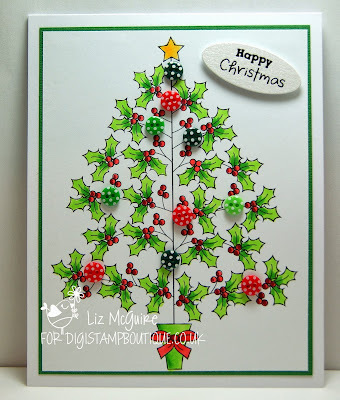 Stunning card Liz, such a beautiful image and I love the tiny buttons. Stunning card Liz, love the gorgeous design & details. great card and your colouring is awesome!! thanks for sharing!!! This is a fabulous tree! 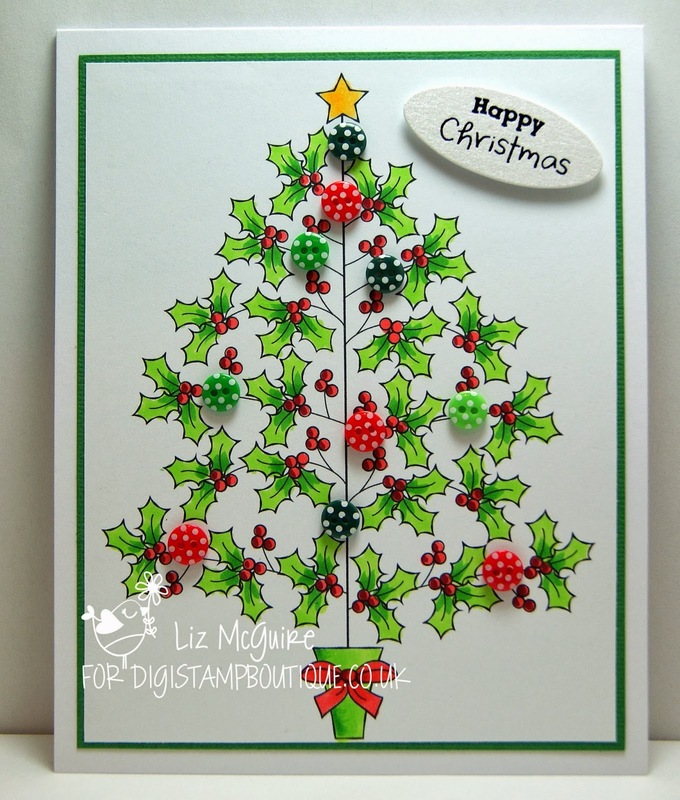 A gorgeous CAS card, and your colours are so bright and cheerful, too! Love it!! This is totally fab Liz, love it!